Paired with their 527 outboard, Seven Marine will begin to offer options with the Volvo Penta DPH gearcase and the Volvo Penta Electronic Vessel Control features. DuoProp gearcase offers the blade area to lift heavy boats on plane with improved efficiency and low-speed control. 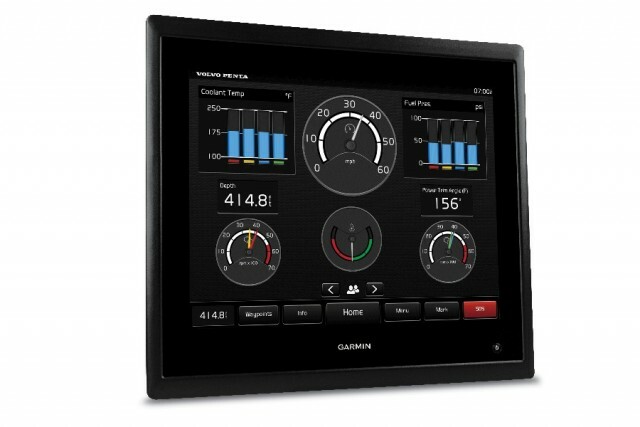 Volvo Penta Electronic Vessel Control features include joystick piloting and a glass helm display. 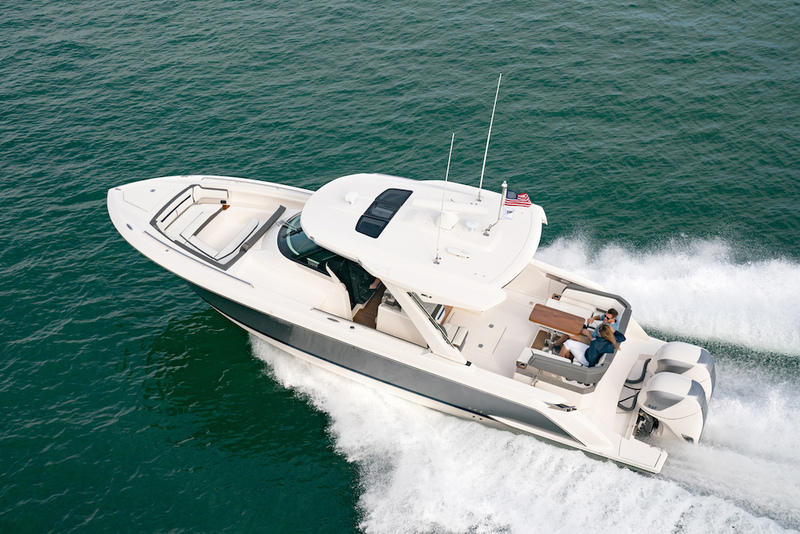 See listings for the Tiara Sport 38LS, the test boat for DuoProp and Vessel Control. 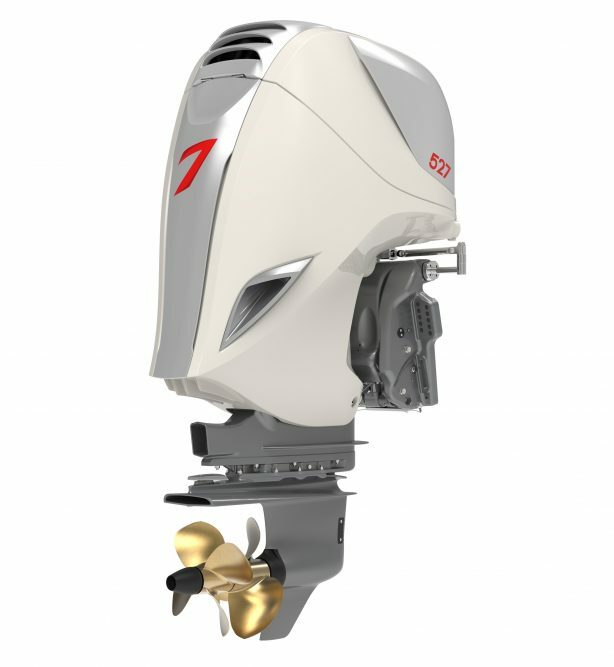 Seven Marine has begun offering its mega-power outboard motors with a Volvo Penta DuoProp gearcase and a suite of Volvo Penta technology. It’s the first product integration of the two marine power efforts since Volvo acquired a controlling interest in the Wisconsin-based Seven Marine in 2017. The new Seven/Volvo package debuted on a new Tiara Sport 38LS at the Miami International Boat Show, with a pair of 527-horsepower Seven Marine 527 outboards on the transom. The motors were equipped with Volvo Penta DuoProp DPH gearcases, and the boat was rigged with full suite of Volvo Penta Electronic Vessel Control (EVC) features, including joystick control. The wide-beam Tiara Sport 38LS is a big dayboat that may be the perfect application for the V8 muscle of Seven Marine outboards. “The Integrated Outboard Experience from Volvo Penta and Seven Marine is a key milestone resulting from our strategic acquisition of Seven Marine,” said Ron Huibers, president and CEO of Volvo Penta of the Americas and chairman of the Seven Marine board. The DuoProp DPH drive was designed for use with Volvo Penta diesel engines, so it is very robust internally and designed to handle a lot of torque, and of course it has a pair of contra-rotating props, which give this package the massive prop blade area required to lift a heavy boat on plane and then keep it there at lower boat speeds. 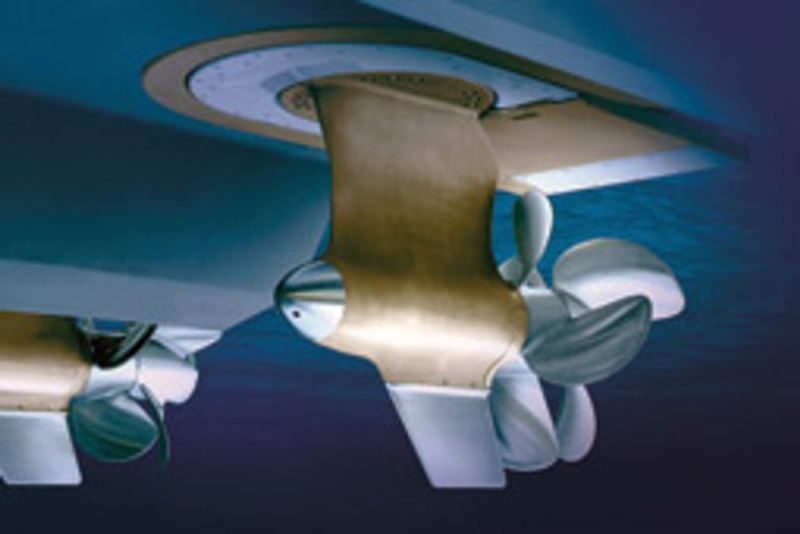 Contra-rotating props generally also provide enhanced efficiency and improved boat control at low speeds. With slight modification the Volvo Penta DuoProp DPH gearcase bolts right up to a Seven Marine outboard. A variety of Nibral and stainless steel propsets are available. Seven has offered its own dual-prop CR gearcase, which can accept props up to 19 inches in diameter. The maximum prop size available for the DuoProp DPH gearcase is about 18 inches in diameter, so the DPH fits between a standard single-prop gearcase and Seven CR gearcase. Seven Marine likes to rate its gearcase options by speed and boat weight, and says the DuoProp lower is efficient up to about 60 mph, and is ideal for 9,000 to 12,000 pounds of boat weight per outboard. The Seven CR gearcase can carry 11,000 pounds and more per outboard, also up to about 60 mph top speed. 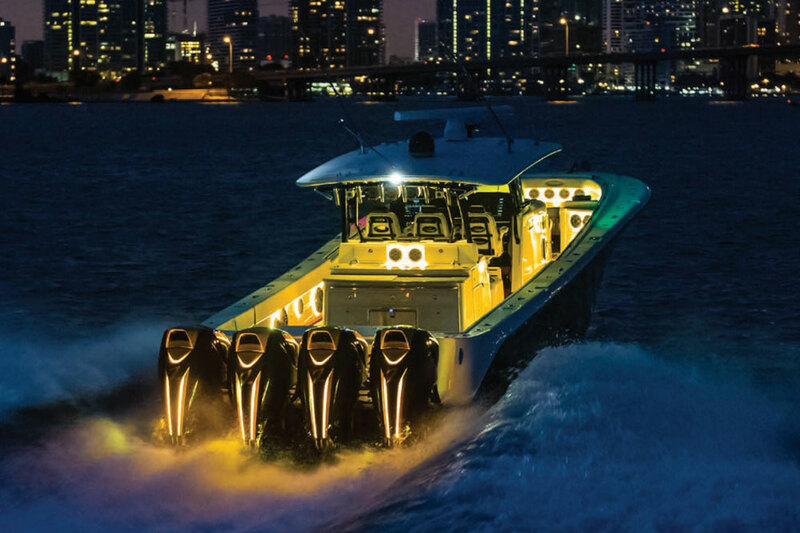 The new Tiara Sport 38LS measures 38 feet 1 inch in length with a beam of 12 feet 6 inches and an approximate dry weight of 18,600 pounds and 20 degree transom deadrise. 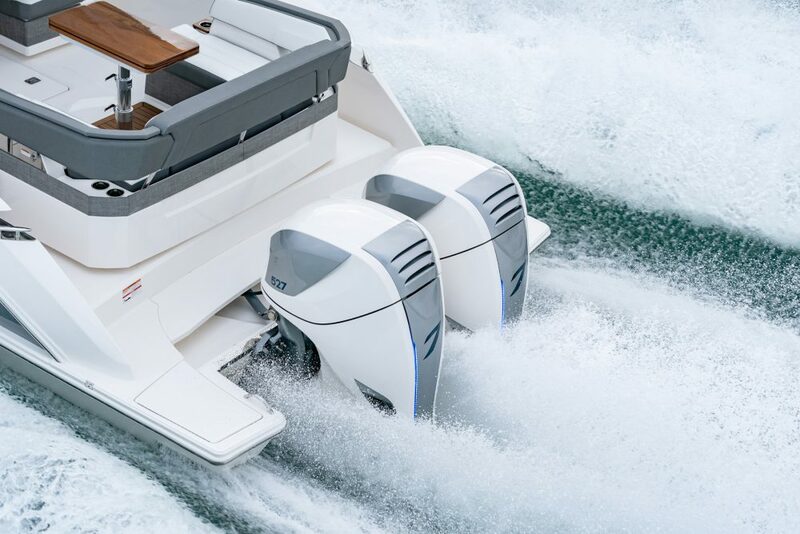 In test results released by Tiara a Sport 38LS with twin Seven Marine 527 outboards running a Volvo Penta G6 propset through a 2.2:1 gear ratio reached a top speed of 55 MPH at 5900 rpm. Best cruising speed was 34.7 mph at 4000 rpm and 37.5 gph, or about 0.93 mpg. The same boat running triple 350-horsepower Yamaha F350 outboards achieved similar performance—55.6 MPH top speed and 34.8 MPH at 4000 rpm and 0.85 mpg. 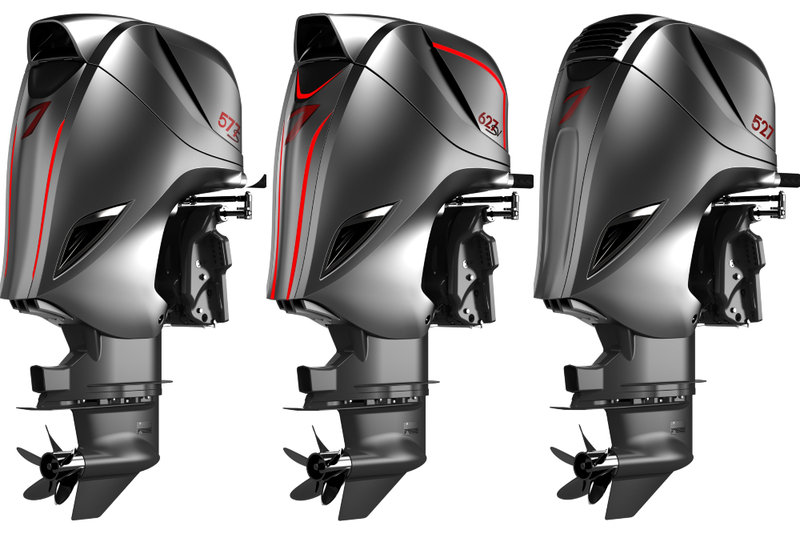 A pair of Seven 527 outboards deliver plenty of power with a clean, attractive installation on the Tiara Sport 38LS. The Tiara was equipped with Volvo Penta Easy Boating features, including joystick driving and docking, an enhanced helm station with glass cockpit, dynamic positioning, autopilot-joystick integration and Easy Connect remote connectivity, all tied together by Volvo Penta’s EVC platform. Here’s a slick feature—Tiara located the joystick into the flip-down armrest at the helm seat where it’s easy for any skipper to reach. 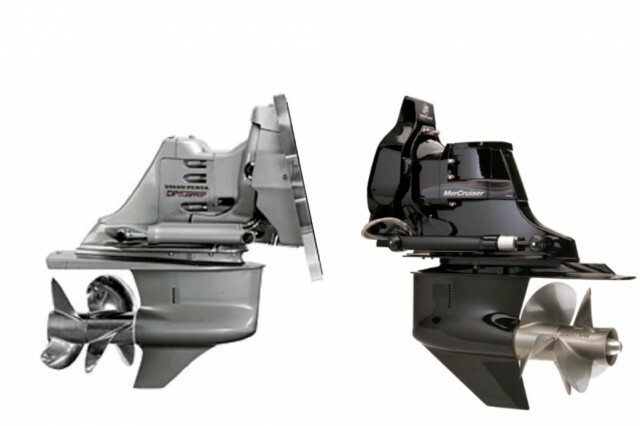 Seven will initially offer the Volvo Penta DPH gearcase and Volvo Penta Electronic Vessel Control features with its Seven Marine 527 outboard, but when testing and validation is complete Seven expects to offer the DuoProp with its 577-horsepower 577s and 627-horsepower 627sv models, perhaps by the end of 2019. 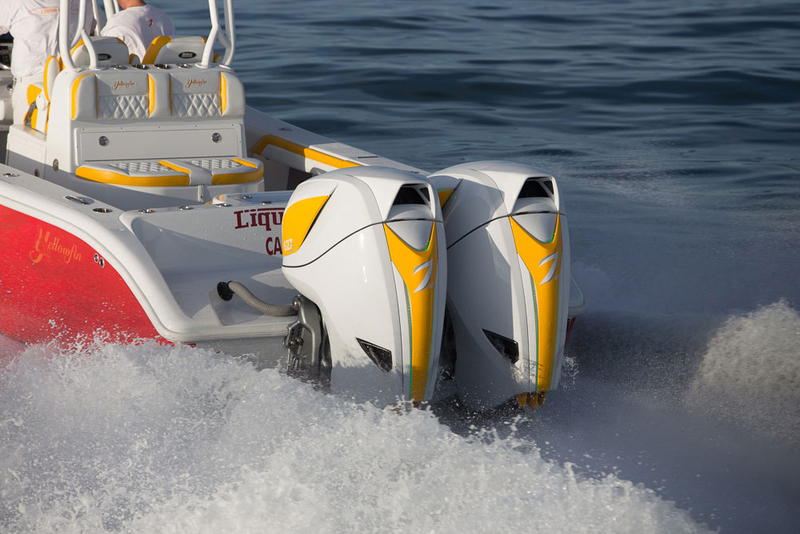 All Seven Marine outboards utilize a 6.2-liter supercharged V8 powerhead sourced from General Motors. 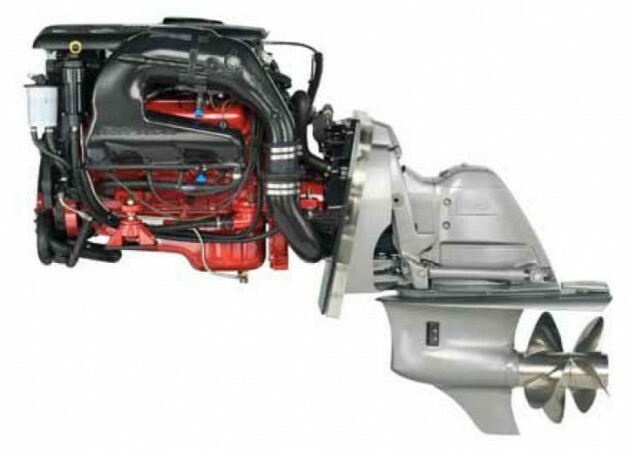 See Tiara Sport 38LS listings, or read more about the merger between Volvo Penta and Seven Marine in The Outboard Expert: Volvo Penta Buys into Seven Marine.